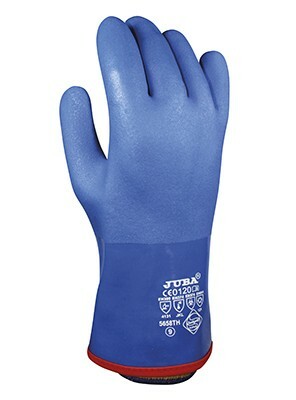 Gloves for butchers' cold storage, transport trucks with low temperatures, medium and high cut protection, moderate or extreme cold protection. 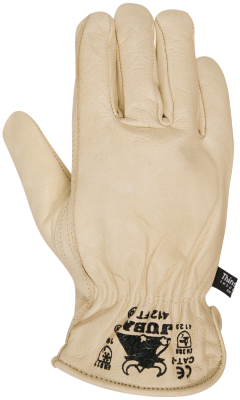 Synthetic leather glove and strengthened palm with Spandex back and inner membrane. 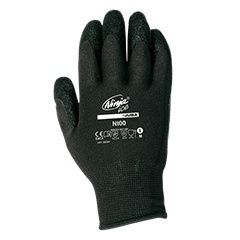 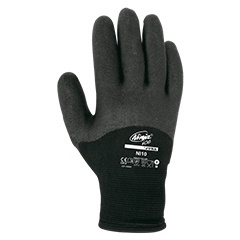 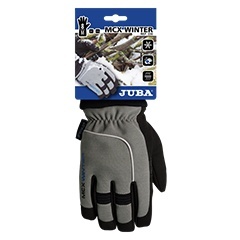 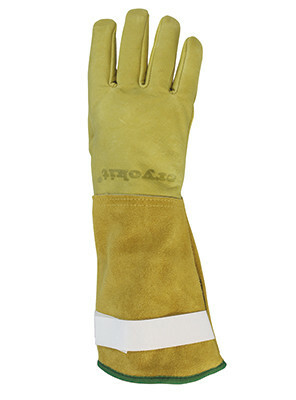 Water-repellent grain leather cryogenic glove. 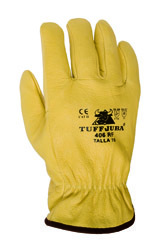 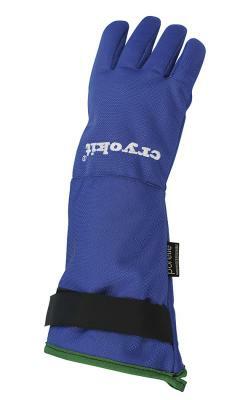 Cryogenic waterproof glove. 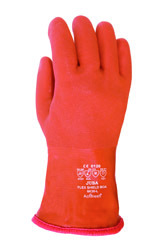 Polyolefin Porelle® membrane. 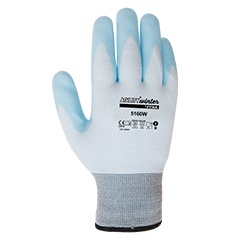 Cryogenic waterproof glove. 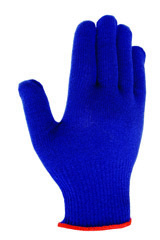 Polyolefin Porelle® membrane. 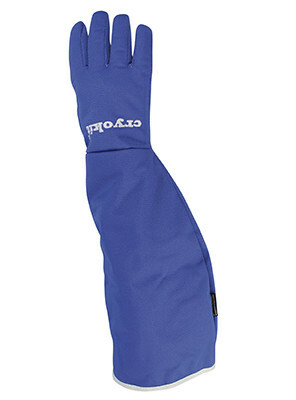 Length of 55 cm.